If there’s any upside to the lack of diversity in, well, just about every profession, it’s that it propels some to work (much) harder than they normally would or should to get ahead. Of course, that comes with stressors of its own. There’s nothing worse than having paid the cost and not being able to reap the rewards of your hard work. While thinking about this post, I was reminded of Scandal’s first episode from season 3. I’m not a fan of saying things that have already been said by others – and likely said better. Before leaving you with some gems from articles I found on this scene, I understood – and understand – exactly what Daddy Pope was trying to convey. Like it or not, these are the realities we live in. Minority candidates often have the burden of being Jackie Robinson every time out. And after some thought, this is where the real shame of a lack of diversity is – in spite of any career benefits that come with working yourself to the bone to get half (or to get the average). Robinson had average teammates; Robinson had to be a phenom (and more) to sniff the major leagues. In a single moment of fist-pumping joy that a piece of my experience was on the small screen on a big network show, the blunt reminder that we still have a long way to go hit as hard as a hammer to the head. More than simply a family motto, the sentiment is one with which almost every African-American of my generation and before is all t00 familiar. Notice the them and the they — that’s white folks. The you is every black kid who has ever brought home a bad grade or failed to study hard enough for a test being told by their concerned parents that they might never succeed if they don’t work harder and smarter than their white peers. (See: “Twice as Good: Condoleeza Rice and Her Path to Power.”) Maybe not everyone will accept this assertion as true, but in “Scandal’s” choppy ocean of absurdity, it felt like rock-hard reality. If that isn’t the word of a race-conscious parent, I don’t know what is. 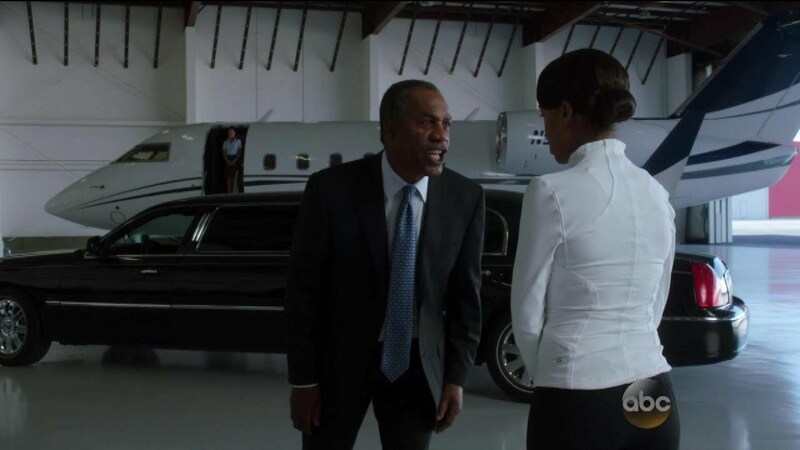 While my own father has never made me flinch at his touch like Olivia did with hers, Papa Pope’s ferocious insistence that his daughter acknowledge her societal deficits rang true. Both of my parents – especially my father – drilled into me from a young age that my Blackness (and later, my existence as a woman) would require me to work harder, smarter, and faster to be on equal footing with my white classmates. There were times when I thought they were paranoid and overreacting, and times when I understood all too well. It wasn’t until that moment on “Scandal” when I started to think: What has the Pope family motto – which at times has been my family’s rallying cry – done to/for me throughout life? A lot like my friend set, I have carried this mantra into everything I do, even now. When I was in High School, I would keep a log of grades, so that I would be assured of no surprises at the end of the year. When I was at Macalester College, I would read (10 books) during my summers while working two jobs to catch up on what I didn’t know from the previous years. When I was given grades on papers, I would study the critiques of my professors (often having my mentoring professors look over my stuff). When I was in grad school, it was my goal to bring in outside resources that helped illumine the text I was reading. There were moments when I would be so annoyed at myself that I couldn’t do it all…that I couldn’t be perfect…that I was letting my grandparents down by not being TWICE as good. I tried very hard because I didn’t want colleagues, peers, and professors to think of me as lazy, unintelligent, or untalented. I have always wanted to be thought of as an ambitious, gifted and EXCELLENT student, scholar, administrator, and leader. Contrary to my usual posts, I have no immediate solutions and I’m not quite sure any are required. I don’t remember if this value was instilled in me or if I read it and ran with it, but it’s all I know. While that may be unfortunate in the grand scheme of things, I love the competition and would have it no other way.